'I love having you at my mercy... And you love it too.' The only desire billionaire Stefano Moretti has for his estranged wife Anna is for revenge. 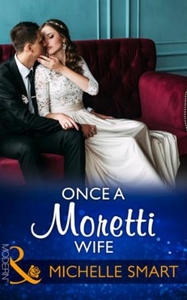 Humiliatingly, she left him weeks ago-so when Anna returns to his life, with no memory of their tempestuous marriage, he's certain fate has dealt him a winning hand. Stefano's plan is two-fold: a private seduction that will reawaken Anna to their red-hot attraction, followed by a public humiliation to match the one she landed on him. Until Stefano realises there's something he wants even more than vengeance-Anna, back in his bed for good!